A supplier-supermarket food war has left customers without their cherished Bamba snack food, but the crisis may have been settled peacefully. 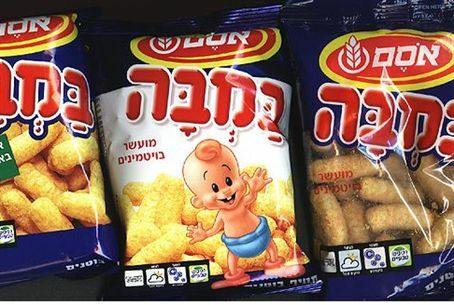 Can Israelis survive without the original "Bamba" snack food? Will shoppers buy Heinz ketchup and give up on the Israeli Osem brand? A supplier-supermarket food war has left a chain store’s customers without their cherished Bamba peanut-flavored snack and has forced many to make do with Heinz Ketchup, as opposed to Osem's. The “Bamba crisis” pits the large Osem food company aganst the Hatzi Hinam [Half Free] supermarket chain. A commercial dispute broke out between the two companies earlier this month, and Hatzi Hinam reacted by removing Osem’s frozen and refrigerated food items from its stores. It also took the daring step of removing all of Osem products, including the prized Bamba snack, from its new super-duper supermarket in upscale Hod HaSharon, part of metropolitan Tel Aviv. The chain then when even further and took almost all of Osem’s products from all of its stores’ shelves. Hatzi Hinam's customers were suddenly left not only without Bamba but also without Osem’s name brand Sabra Salads, Tivol vegetarian hamburgers and other meat substitutes, Ofe Tov chicken and Osem’s popular ketchup. Osem, fed up with the store boycott, struck back with newspaper advertisements offering discounts at competitors’ stores located near those of Hatzi Hinam. Will customers flee to buy Bamba elsewhere and not have to be forced to buy Heinz ketchup? Shalom told Globes he is not afraid. “No Bamba? No problem. I have snack foods from other companies. There are other pretzels [besides Osem’s]. We do not lack anything." He claimed that customers are showing loyalty to the stores and are not complaining. “No one asks why there is no Bamba,” he continued. “No one cares." Osem disagrees and claims that it has received numerous complaints from customers wanting to know what happened to their Bamba. Globes reported Monday morning that Shalom said the dispute has ended with an agreement by Osem to pay Hazti Hinam nearly $1 million through discounts and bonuses in return for the supermarket’s prominently displaying Osem products. A Hatzi Hinam official told Israel National News, ”The problem has been solved,” but offered no details.